I read this book a while back and probably found it in the young adult section of my library. The plot revolved around a future world where people could live in VR and earn money become famous. It follows a teenager as he figures out the truth about the system and I think he had an evil manager too? I'm not overly confident on this one but it matches the general concept so it's worth a shot. The VR world is the OASIS as mentioned above and there is a famous blogger in the VR world named Art3mis. Art3mis: a famous female gunter and blogger. Wade has a huge cyber-crush on her, which is complicated by their competition in search of the egg. It's worth mentioning that this was adapted into a film in 2018. See the trailer here. The book I was remembering was titled The Game by Terry Schott! It's a pretty good book that covers the story of Zack the main character as he plays a virtual reality game in which people can earn credits (money) for when they are back in the real world. I'll post the official summary of the story below! What if life as we know it was just a game? What if instead of traditional schools, children learned by participating in a virtual reality simulation, one that allowed them to experience "life" from birth to death - multiple times?What if one player, on his final play, could change the world forever? 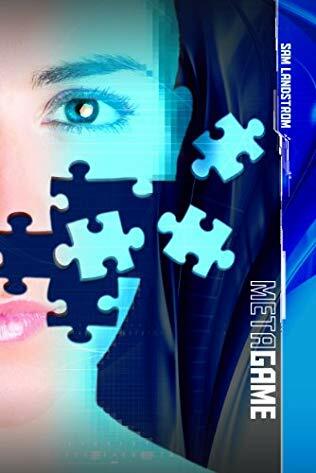 Another possible match: Metagame, by Sam Landstrom, published in 2010. I'm not certain about the evil manager, but you can become rich, famous (and to some degree, immortal) through the game, and there is a truth about the system to figure out. Life is a game, literally. Winners earn immortality, while losers are condemned to aging and death. D_Light, a gifted player, knows this all too well and he’s willing to do anything to win—even kill. It is no wonder then that when given the chance to enter a MetaGame—an exclusive, high-stakes, anything goes contest—he’s quick to jump at the opportunity. The MetaGame starts out well enough for D_Light, the first quest being to hunt down a dangerous fugitive, but through his own ambition, the tables turn and D_Light finds himself the renegade. Now, D_Light pits himself against his world to find the truth behind “The Game” and must decide between winning it and saving what’s left of his humanity.